That's an amazing giveaway! I hope I'll be the lucky winner!! :)) I love all the bags but my favorite is the brown one. I am already following you through GFC. J'adore the beige! So fabulous. How cute. I love the black. It goes with everything. Anddd I'm already following via GFC!! how cool! I'd go for Julianna Satchel in GRAY. Red is so beautiful! Love the Julian Satchel giveaway! So many colors. But black in this would be a useful color to have in the stachel. Great giveaway! GORGEOUS bag and amazing giveaway!! Would be the perfect summer bag. Following you on GFC and tweeted about the giveaway! This such a fabulous giveaway!! These satchel handbags are lovely. I love all the colors, but since we can only choose one color it would have to be the Beige one. Gorgeous bag. I love the black! Oh I would love the beige bag. So lux and beautiful. I would have to upgrade most of my outfits but this bag would make me look fab. What a superb giveaway! Thanks for the great opportunity :) I'm definitely in love with the Berkin, I have quite a few remakes and I love them. I definitely adore the BEIGE Juliana Satchel - it'd be great for this summer and would match most of my outfits giving a very sophisticated touch. I'm keeping my fingers crossed! They're all lovely, but I think the red is my favorite! Pick me, pick me! I'd get it in the black because, surprisingly enough, I am lacking a classy bag in black!!!! My favorite is the Black one!! So classic! The first bag is perfect....to die for! I am in love with the red and grey bag!! The red and grey are my faves!! I love the one in beige! I follow you on Google and I love the Beige one! The bag is adorable! I kind of wish I could have one in every color, but since I have to pick a favorite I am going to go with the gray! I love this in white! This bag is gorgeous! The grey is definitely my favorite. Such a great giveaway! Thank you both!!! I would definitely chose the Juliana Satchel in Red!!! I am a follower of yours and a friend - duh!! What a great bag...thanks for sharing this giveaway!! Did I mention that I love the red one?! Soo cute and fun for summer! I like the Beige version knowing that I could trash it--if it was the real thing I'd probably go for a more practical color like black! p.s. Thank you for being a guest today on Eye on Style! It was so fun having you! Erika! AMAZING giveaway. I need that bag in my life. My favorite color is red. And I'm following you, of course! I love the beige one. now this is a wonderful giveaway! 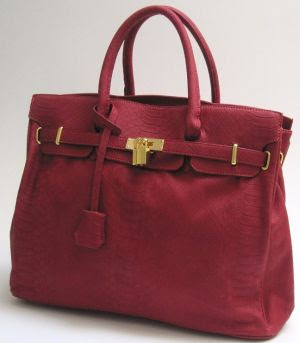 i really love the birkin-inspired bag in red. It was tough, but I think I'm going with grey. Okay.. either the beige or the charcoal color. Probably the beige because I don't have anything in that color. this is such an awesome giveaway! I'm totes bummed that I don't live in the US! I love this satchel! Hope I win! Have a great weekend. I'm already following you, but I love love love the gray one!! Have a fantastic weekend Erika! The black one is my favorite! And I follow you via Blogger, of course. Of course I follow you via Twitter and Blogger. And My favorite color is the red one! anddd my favorite is the Juliana Satchel in beige(; Thanks. I followed you via Google Friend Connect. Love the beige. THanks! I love the beige one! Follow with google. Gorgeous bag! I follow you on twitter and through google. I love mimi boutique and would love the Juliana Satchel in Croco Brown! Great giveaway! I follow @cafefashionista on twitter and tweeted this contest! I like the Juliana Satchel in Croco Brown! I would love the Juliana Satchel in Black. Please pick me!! I would have to say the grey or black!! I love the beige bag!!! I follow you on twitter and love the bag in red!